Fast food giant McDonald’s has temporarily changed its tagline from ‘I’m lovin’ it’ to ‘I’m lovin’ Summer’. 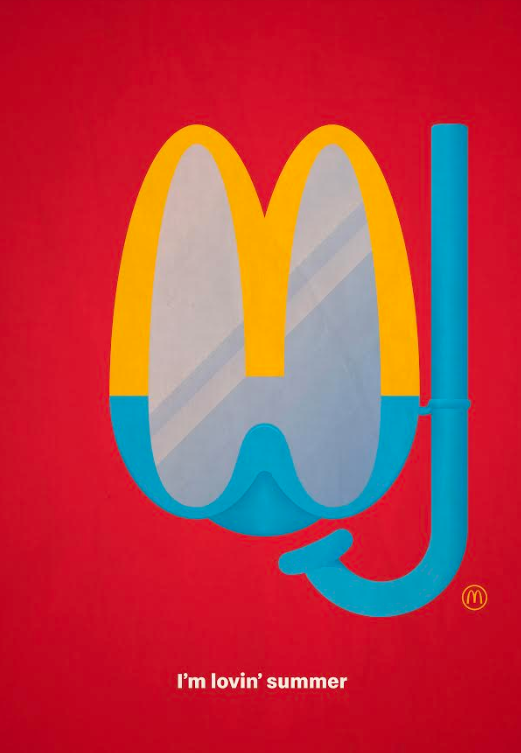 In a series of outdoor ads, McDonald’s has also transformed its iconic ‘M’ to surfboards, buckets, ice-cream, flippers, thongs and a snorkel. Created by DDB Sydney, the campaign is running on social, outdoor and on its packaging. The campaign is set to end at the conclusion of January. The new ads come nearly one year after McDonald’s shifted its PR account back to Mango Communications, consolidating its creative and PR account with DDB. Meanwhile in May last year the fast food chain celebrated 50 years of the Big Mac in a campaign which revisited the past five decades.